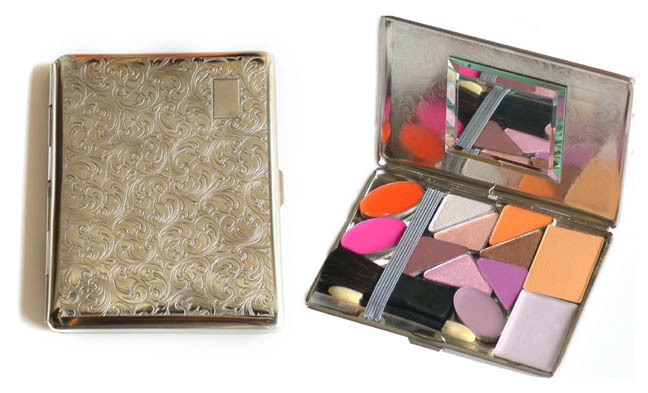 For makeup lovers who want a complete palette of color at their fingertips, the Chromekit is the answer. This sophisticated case holds 12 colors, allowing you to transform yourself at whim. Choose any combination of 2 Rectangles, 7 Triangles, and 3 Ovals to customize your Chrome Kit. Select your colors and submit them, then return here to add your kit to the basket. After submitting return to the top of the page to add your kit to the basket.